New dimensional hand embroidery designs to stitch. Welcome to Millefiori. 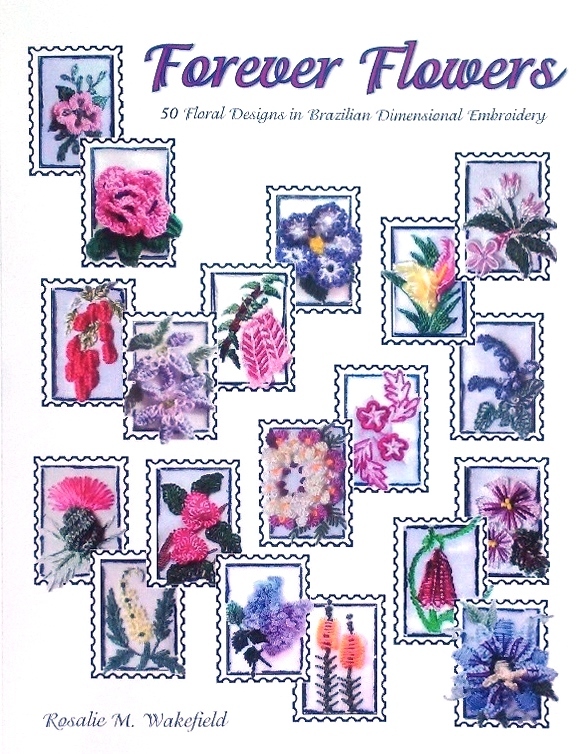 I have a new book of Brazilian dimensional embroidery flowers and patterns. Fabric prints for the flowers are also available. "Forever Flowers" is a book of 50 all-new dimensional flower designs and includes traceable patterns and detailed instructions for each. If you have any questions, please contact me using the link at left, or email me at RWRW@comcast.net. Because of postage increases, my newest book "Forever Flowers" (also available with a fabric print) will be shipped priority mail ($6.65 US postage). Canadian and overseas rates are higher. I accept PayPal, but customers may also prepay orders with a check in US dollars. My books (books only/not fabric prints) are also sold at www.Amazon.com. #8016 – “Forever Flowers Fabric Print” – Print only. Black, cream or white fabric. Please specify color choice. $8.00 each. Please check availability of other designs. #955 - "An Artist's Garden"
Please refer to the "Books" section for details and pricing. While you’re here, we invite you to visit the Gallery – lots of eye candy with discontinued designs that may pop back into the “Buy Me! Buy Me!” pages at any time. And before you leave, be sure to visit my Millefiori blog at http://RosalieWakefield-Millefiori.blogspot.com. Detail photos and further instructions and tips for stitching the "Forever Flowers" designs will be posted. 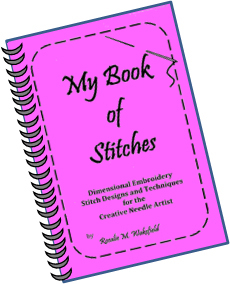 I have also been sharing all of the hints and tips I’ve learned from my fellow stitchers through the years and I also like to add step-by-step tutorials for various works in progress.